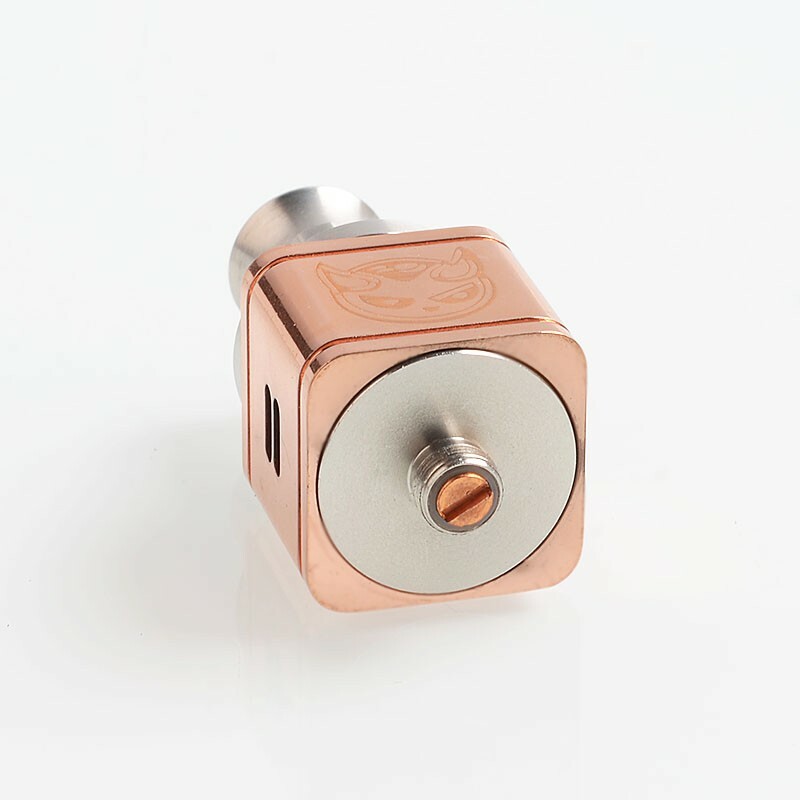 The Hellboy Style RDA features unique cube shape and it measures 22.5mm by 22.5mm. 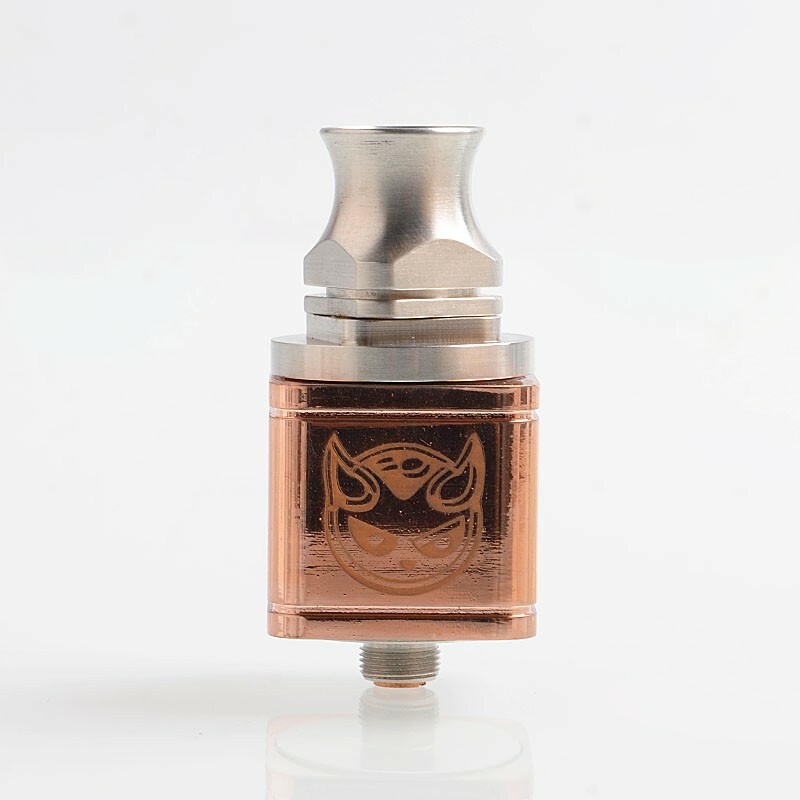 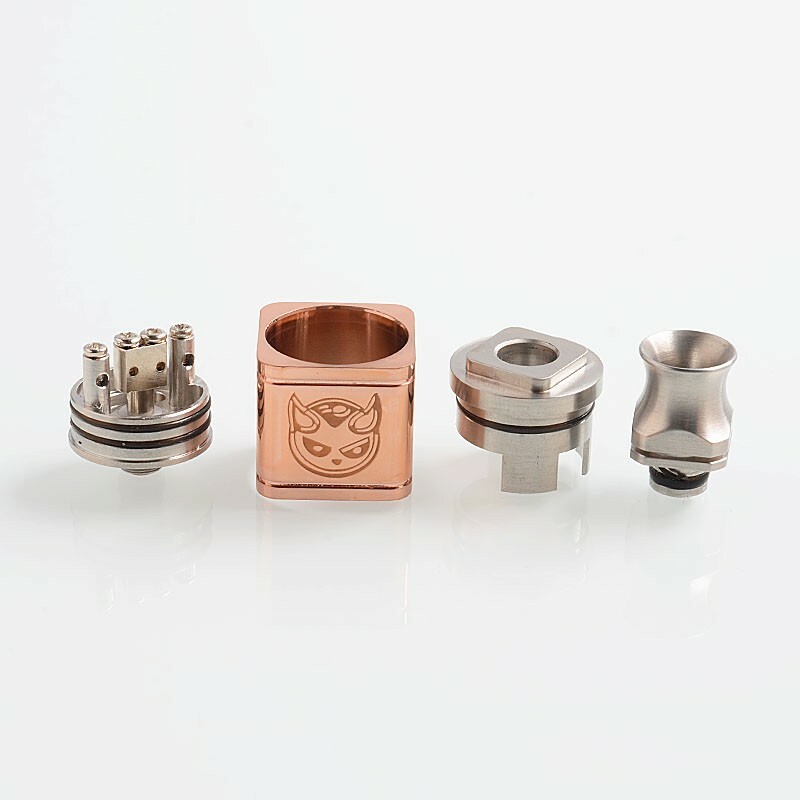 The RDA is made from copper and stainless steel. 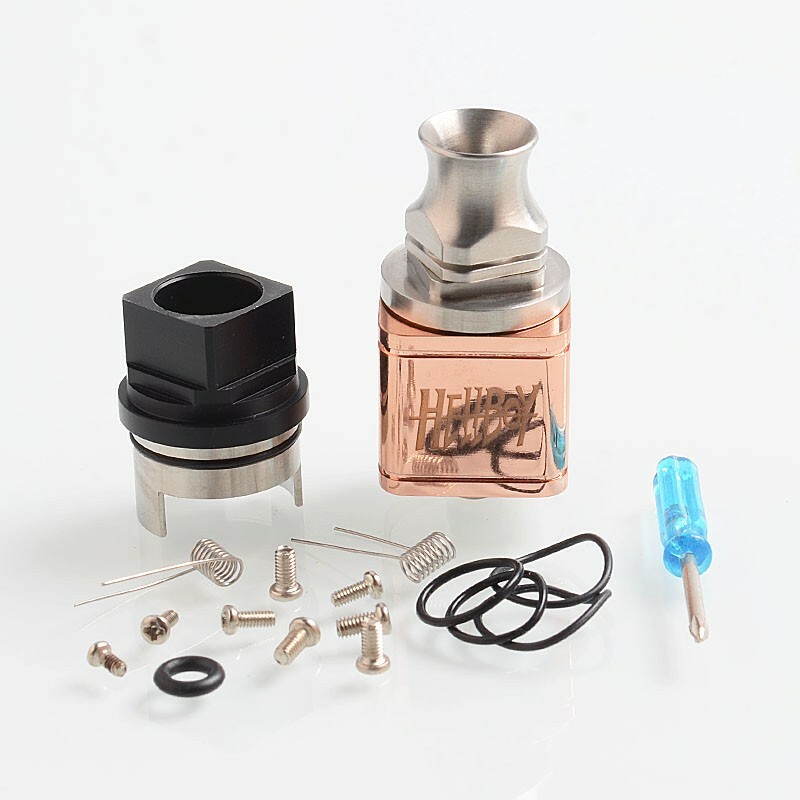 The build deck comes with triple post design and the side airflow is adjustable with the top cap and the airflow can match both single and dual coil builds.